The bands Festival appearance will be released as live BLURAY with the third single from War Of Kings “Nothin To Ya” - December 4th (US & Canada) / November 27th (rest of the World). Also available as DVD. Europe’s place as a legendary classic rock band was platinum-stamped early in their career. 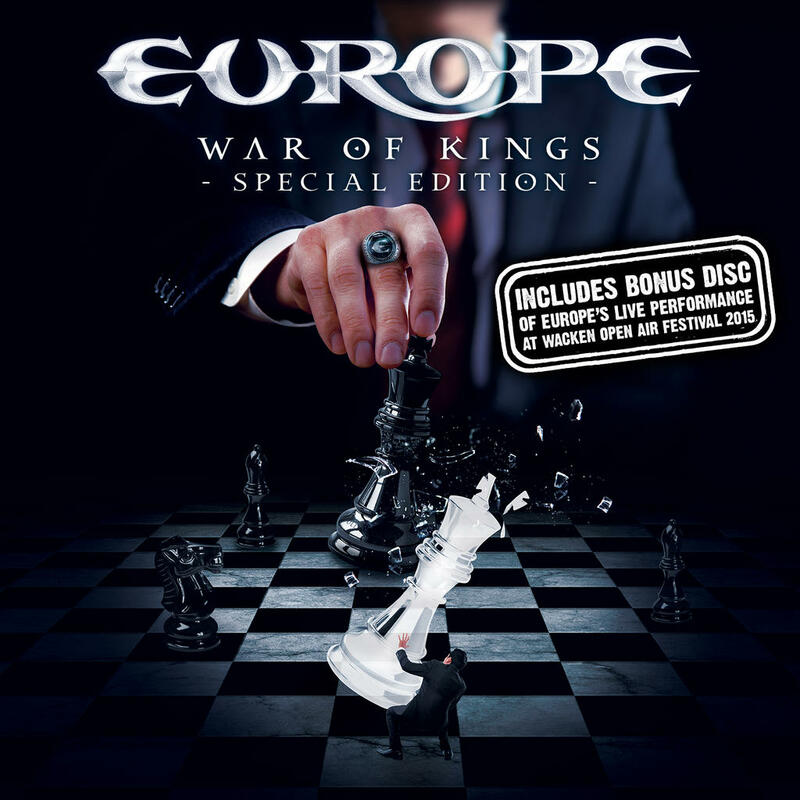 Having enjoyed an explosive period of worldwide success in the ‘80s (under-pinned by their hit album and single The Final Countdown), 2015’s “War of Kings” has seen them take full advantage of the global groundwork Europe have keenly re-established over the last few years. So it was decided that their momentous live appearance at W:O:A 2015 should not only be filmed and recorded, but released as a DVD along with their third single of the campaign “Nothin To Ya”.